Make an artwork out of your precious novels (without tearing them apart). 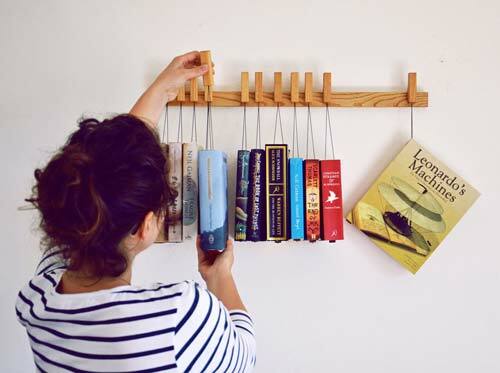 If you have an excess of books lying around the house gathering dust, then you’ve already got half the materials for your next best art project. Once you get them looking great, you won’t be able to resist plucking one from the shelf and sitting down for a solid reading session. 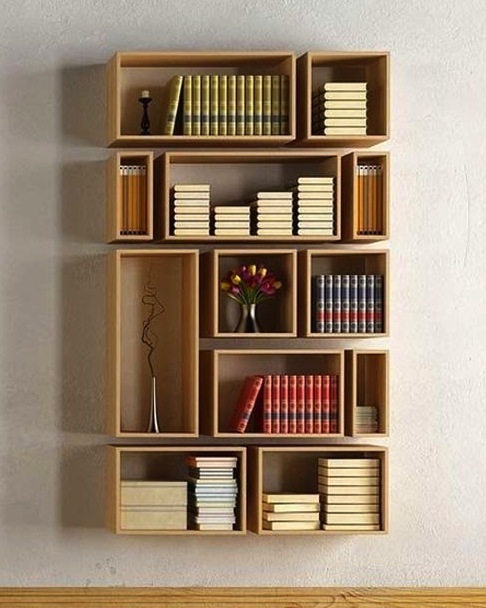 If you’re short on time, or lacking in quantity with your books, then this plywood bookshelf is one of the easiest ways for you to turn your books into attractive wall art. You can buy them, or have a go at making one yourself. 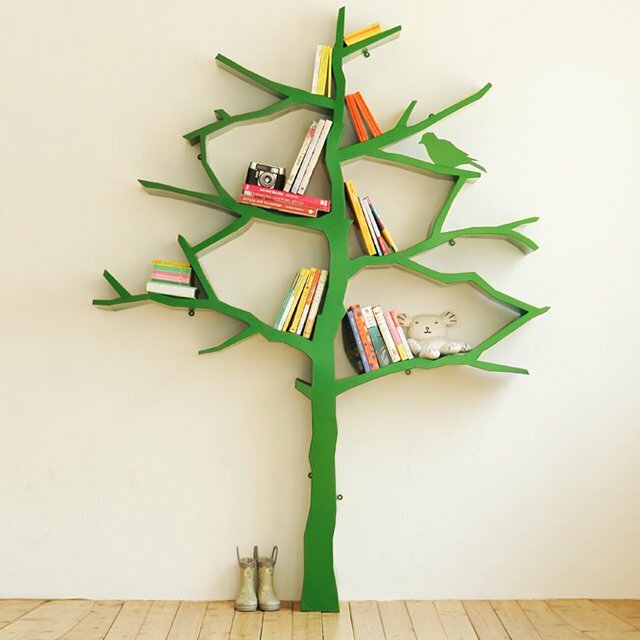 If there’s a bare wall around, and you’ve got a little more time on your hands for a DIY project, have a go at making your books into a more statement artwork with this beautiful tree-shaped bookshelf idea. Get creative, we dare you! 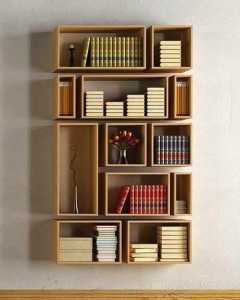 For a more basic, yet still effective, idea, try this ‘boxed’ look. Mix it up with different colours and sizes, and this design will match all colour schemes and complement any décor. 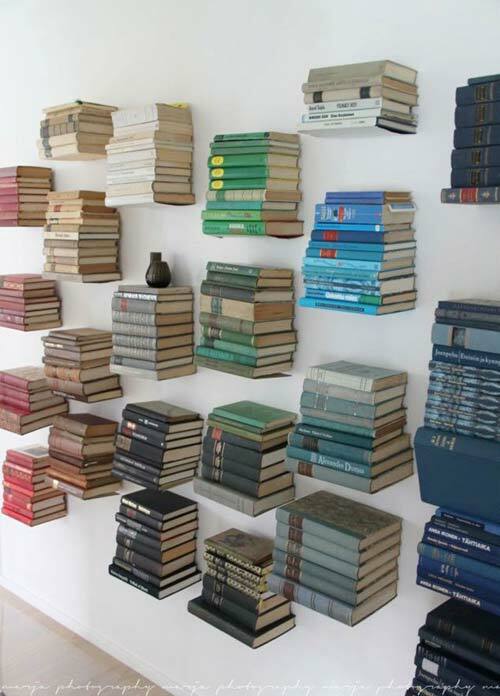 If you can’t decide on a bookshelf to match the décor of the rest of the room, fear not – make one of your less used books into an ‘invisible’ bookshelf and you won’t have to! 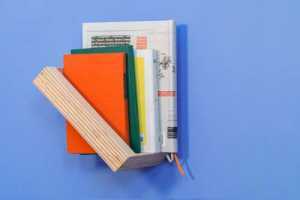 If you look in the right places, there are ways to make them without harming your books, too.